While there is some still truth to that adage, calculating the ROI (return on investment) of your marketing spend has never been easier, especially when it comes to the performance of your online marketing. The average internet user leaves muddy footprints wherever they go on the web, and it is easy to track their movements, even if their data is made anonymous to some degree. What makes tracking internet users so easy is the way the internet actually works, in particular the use of what are known as “cookies”, which are bits of code left on your internet browser when you navigate around a site. In a more overt fashion, social media conversations on social networks are a very public way of monitoring and assessing how people use the internet. Many of the actions you undertake on a social network, whether it’s Facebook, Twitter or another website, are easily quantifiable. Every like, share, retweet, +1 or comment can (and is) recorded and assessed by other social media users and, in particular, marketers. 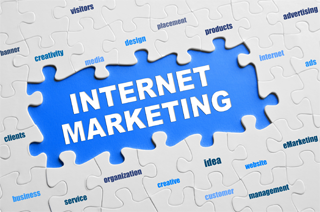 If you invest time and money in any form of online marketing, you would be foolish not to use this readily available information to assess how you are doing. Marketing without some form of analysis or quantifiable target is a fruitless activity; if you are not assessing what you are doing, how do you know what works and, just as importantly, what doesn’t? Probably the best known of all the online analytic tools, Google Analytics is a free piece of online software that helps you assess the performance of your website. An incredibly powerful but potentially complicated tool, Google Analytics can tell you how many visitors you had to your site within any defined period, how many pages they viewed while they were there, what pages they viewed, how long they spent on that page, where they are viewing the site from and with what device. And that’s only the beginning of it. All the data presented in Google Analytics has been made anonymous, so you won’t be able to tell precisely who visited your site by their name, but all the information combined can present the website owner with a very clear demographic of his site’s visitors and their behaviour on it. The key thing with Google Analytics is to ensure you are using it to monitor the correct metrics and are comparing those metrics on a ‘like for like’ basis over consecutive periods. With so much information available to you through Google Analytics, it is easy to obsess over an irrelevant statistic at the expensive of a vital indicator. The ‘right metrics’ to monitor through Google Analytics vary from site to site depending on its purpose, but there are some universal constants. The number of visits to your site is important (but with caveats) while the average time they spend on your page is also a key metric; if people are only spending a couple of seconds on your website, this is telling you something is very wrong with it! I would argue that location is also a critical metric; if you are running a site that sells products and services to a particular geographical area, it is important to check whether your site visitors are coming from that area. Yes, it might be fantastic that you had 2,000 visitors to your site in just three days, but it’s not necessarily so good if 1,785 of them came from outside of the region you are selling to. Luckily, Google Analytics can be readily customised into easy-to-understand dashboards that retain and display all the key metrics you are interested in. You can also get your dashboard automatically e-mailed to you at a frequency of your choosing, meaning you don’t have to repeatedly log into Google Analytics to monitor your site. You can also set up e-mail alerts on Google Analytics, which will be sent if your website performs spectacularly well or spectacularly badly on any given day outside the parameters you have set. The best thing about Google Analytics is that it is free at the point of use, easily installed into your website, and accounts can also be shared across multiple users. Keep that in mind when you are being charged £100 per month by your advertising or marketing agency to view their report of your website (which, coincidentally, will have the statistics selectively chosen to demonstrate just how good said agency is for you). I have only touched the surface of what Google Analytics can do for you here, but it is an essential tool if you are serious about having an effective website. HootSuite is best known as an autoscheduling and monitoring platform for social media, but it is also a powerful analytics tool with which you can measure the effectiveness of your online marketing campaign. By generating shortened web addresses (or tiny URLs) within HootSuite you will be able to use the program to see how many times that precise link has been clicked on. The canny marketer then has two options. The first option is to create one tiny URL for a particular link to get a global metric for how successful an online marketing campaign has actually been. The second option is to create a new tiny URL within HootSuite each time you intend to share the link, which will in turn provide a more detailed breakdown of how successful each individual posting on a social network has been. In other words, creating a tiny URL each time will tell you whether sharing a link to the same page has been more successful at 7.30 am or at 7.30 pm. HootSuite also offers far more advanced reporting and analytical tools than this, but these are only available to those who pay for the service.HootSuite is free for those who only wish to manage up to five social network channels; if you pay to manage more channels, you start to get access to HootSuite’s analytics tools. There are differing levels of subscription to HootSuite, so the more you pay, the more tools you will get, although this can get very expensive if you are just a small business, and it’s probably not worth the return you would get from doing so. SocialBro is a powerful online application that makes the most of your activity on Twitter. Through it, you can analyse those who follow you and those that you follow by demographic (age, gender, location) and their own Twitter activity (frequency of posts, number of followers, date of last tweet). Arguably the most useful feature of SocialBro is its ability to show you who has followed or unfollowed your Twitter feed over a given time period. So if you notice that you have had a spate of ‘unfollows’ recently, SocialBro will be able to tell you precisely who they are. This is useful as not only does it give you an opportunity to reach out to those who have recently stopped following you, but it may also suggest that your Twitter activity has not been terribly successful of late. There is probably a reason why those people chose to unfollow you, and you should analyse your Twitter marketing activity over the associated period to see what could have prompted them to be proactive in disengaging with you. SocialBro is a subscription service for which you pay monthly, but if you are a regular Twitter user, it is a cost worth paying. You can also monitor multiple Twitter accounts on the back of just one SocialBro account. Regardless of your social media or offline marketing activity, many would argue that the most important driver of visitors to your website is the search engines. Many people spend a lot of time and money revising their website through a process known as search engine optimisation (or SEO), so it is essential for them to check their rankings regularly. They could just go to Google and type in various keywords and scroll through the results to find their website, but this would be very tiresome – which is where CuteRank comes in. Search engine optimisation involves customising a page around a certain phrase or word(s) that people are likely to type into search engines to find relevant information. These phrases and words are known as ‘keywords’, and it’s these which CuteRank uses to report on your website’s success (or otherwise) within the SERPs (search engine results pages). Enter the keywords you wish to track into CuteRank, and it will very quickly produce a report revealing exactly where you are placed in the results for a selected search engine (Google, Bing, Yahoo!, Ask, etc.). CuteRank then stores these keywords, so you can log in at any time to chart any fluctuation of your search engine result positioning. CuteRank is reminiscent of the Top 40 chart rundown for single sales, and it can be quite addictive checking in each day to see how your website is fairing. Given that ‘organic’ traffic (the phrase given to visitors who come to your site directly via search engines rather than via pay-per-click ads) is still the biggest driver to your website (check your Google Analytics if you don’t believe me), the placing of your website in search engine results is of vital importance. Some people say that if your site does not appear on the first page (the first 10 search results) of Google you will lose substantial business, and they are correct. Some go as far as saying that if you don’t appear in the first three results you will lose out. As you can imagine, SEO is now big business and marketing agencies can (and do) charge a lot of money to get your website to the top of Google according to the right keyword for your business. Whether you pay someone else to do it or you do it yourself, a SERPS-ranking program such as CuteRank should be used regularly to monitor whether your SEO efforts are having the desired effect. NB: These are just some of the many online analytical tools available.